Full cotton vests featuring our 2018 logo designed by bear illustrator Bobo-bear are now on sale for only £12 at Prowler Brighton (where you can try them on for size). Get yours today in navy blue or red! 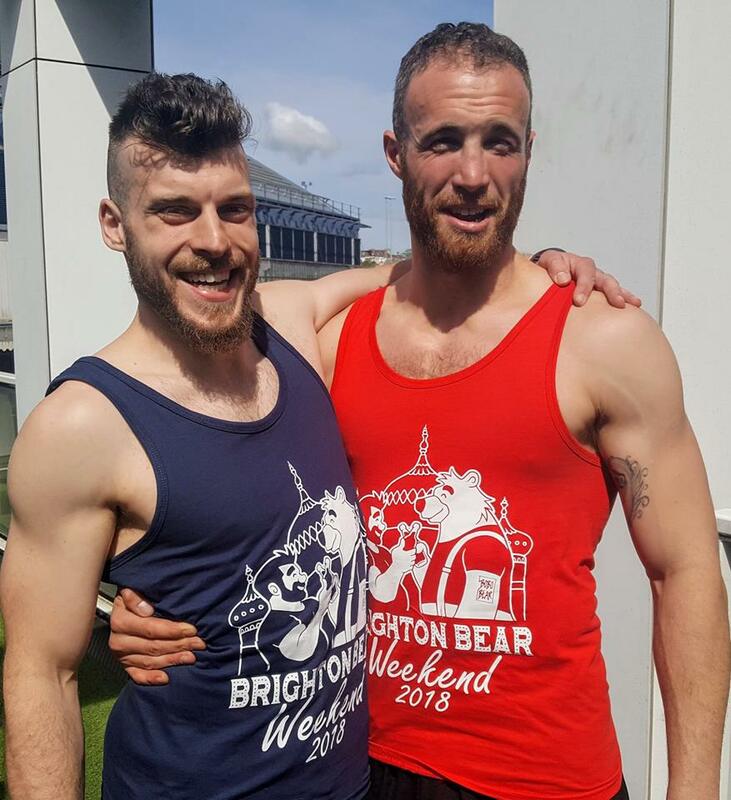 You can also order vests, together with our t-shirts and wristbands, from our online shop for postal delivery or for collection during Brighton Bear Weekend (14-17 June). We’re in Bear World Magazine! 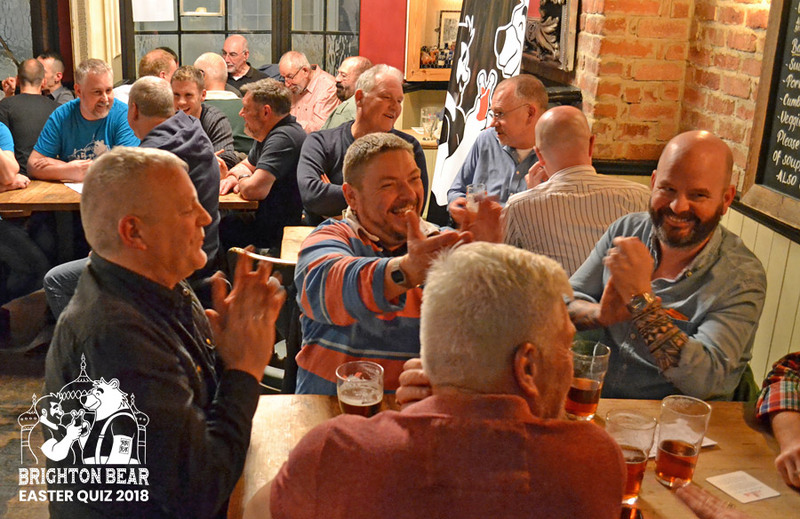 We’re in Bear World Magazine again this month – check out their new article about this year’s Brighton Bear Weekend in June, including details of the events and some new pictures! Bear World Magazine is the leading online magazine targeted 100% at the worldwide gay bear community. You can also follow them on Facebook, Twitter and Instagram. Our annual Easter Quiz at the Camelford Arms on 29 March 2018, together with the night’s big Raffle, raised a superb £450.70 for the Rainbow Fund! Many thanks to the hard-working staff at the Camelford Arms, our wonderful prize donors – including Choccywoccydoodah, the Camelford Arms, Nice ‘n’ Naughty, Clive Williams, Bobo-Bear and others – but especially to all you wonderful quizzers who made this evening a smash success and, as always, so much fun! Check out our photo gallery from the Quiz! Our online shop is open, selling t-shirts (red version shown below, but also available in other colours) and wristbands which will give you great discounts on club entry and drinks throughout the weekend! You can order now for postal delivery or collection in person on the weekend itself. Don’t forget, the latest news is always on our Facebook page too, where you can also indicate that you will be coming to our events! 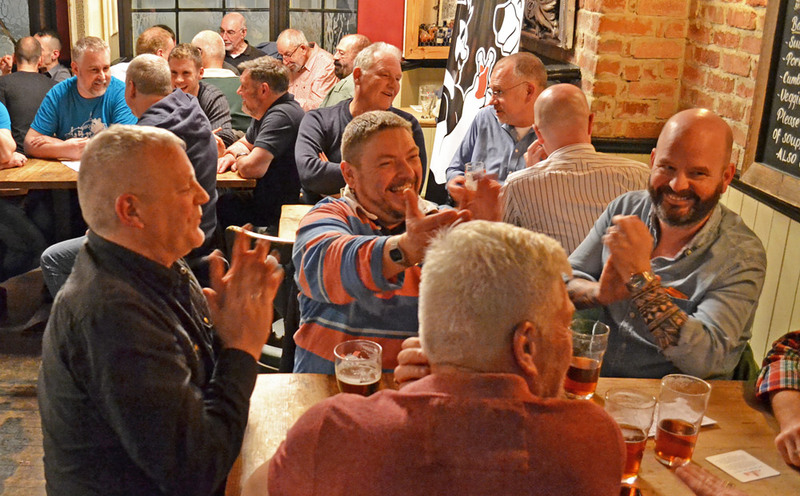 A packed crowd enjoyed our big Brighton Bear Easter Quiz on Thursday 29 March. We can’t tell you the grand fundraising total yet, until it is officially announced in the press, but we can say that we’re very happy indeed with the large amount raised. Thank you to everyone who came for their generosity and for creating such a fun atmosphere! Thank you also to the wonderful staff at the Camelford Arms for hosting this event once again, and to everyone who donated prizes for the additional Raffle, including the Camelford Arms themselves, Prowler, Nice ‘n’ Naughty, Choccywoccydoodah, Chris Sarson and Clive Williams. We’ll be publishing the grand total and more photos here and on Facebook soon!